Presented in 2014, the Hope Françoise Demulder Grant offered financial assistance to support photography projects by workshop participants of the Angkor Photo Festival & Workshops. Applications were submitted to a five-member jury panel during the annual workshops, and evaluated based on the strength of their project proposals and also photography skills. The grant was graciously supported by Un Déclic Contre Une Claque, an association created in 2003 to support journalists and photographers. Unfortunately, the association was unable to continue supporting the grant. We are looking for organisations or associations who may be interested in helping us continue this worthwhile cause. For more information, contact us at tom [@] angkor-photo.com. 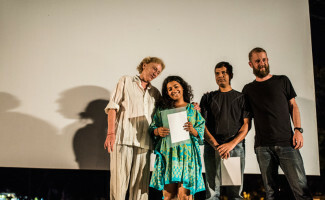 The 2014 Awardees of the Hope Françoise Demulder Grant was announced on the Closing Night of the 10th Angkor Photo Festival & Workshops (December 6, 2014) – congratulations to Mansi Thapliyal and Senthil Kumaran, for being the first recipients of this grant! They each will receive 1000€ in financial support, and will have the opportunity for their projects to be included in the 11th Edition of the Angkor Photo Festival & Workshops. Read more about their projects below, and stay tuned to this page as we share updates from the grant recipients during the progress of their projects! This year, as a participant of the Angkor Workshops, I found a Karaoke Bar on the outskirts of Siem Reap where women are both entertainers and escorts. As different as their daily lives are from mine, in their expressions of intimacy and loneliness, I felt that I recognized those parts of myself that I rarely brought to the surface. As I watched them with the men that came to them for comfort, I was surprised at how their range of gestures – comfortable with one customer, irritable, but needy with the next, ambivalent and prop-like with the third – moved from desirable to dependent. By continuing this project, I hope to capture how the universe of this small, filthy Karaoke Bar, is reflective of tussles that men and women face with the body, and what that body becomes – the wife in the bedroom, the college girl in her dorm, my father lying with his partner in his living room – finding the similarities between the bar and the “ordinary” bedroom. How she becomes me. Why is it important to you to continue this project? As a woman, there are many times I have let my body be used, uncomfortable, unsure, and yet not speaking out. Embedded in the lives of women around me are similar moments of self-objectification – by self-objectification I mean that moment in which a woman views herself and lets herself become only what a man wants or needs in that moment. This project will be a source for me to speak out about self-abuse, because the silence within which women keep themselves is as harmful as what they let men do to them. The first stage will be photographing the space of my home and the space of my intimacy. Looking for similar expressions and emotions, which I had seen on the faces of men and women in that little bar in Cambodia. The style of this project will be flexible, moving between documentary and constructive. Photographing myself will become an essential part of the work as well. India is home to an estimated 1700 of the 3500-odd last surviving wild tigers on this planet. The country has 55 tiger sanctuaries, but very often the animals have to share a space with humans who are dependent on the forest for their livelihood. 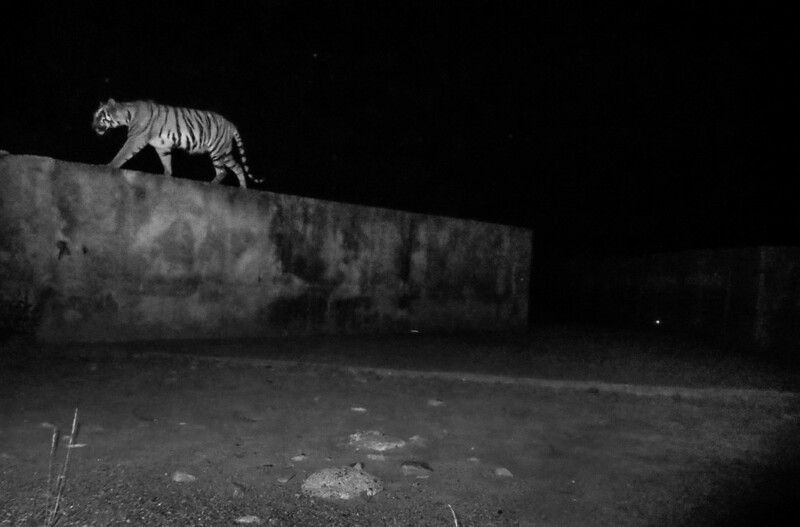 Tigers pose a serious threat to these communities. They have been known to attack and eat humans, and also prey on the livestock upon which many local communities depend on for their livelihoods. This is due to the fact that the densities of wild prey are decreasing because of hunting and competition with livestock. In reciprocation to the tigers, some local people deliberately poison their livestock to kill tigers. Such actions has resulted in a major human-tiger co-existence crisis in many sanctuaries across the country. In order to mitigate the human-tiger conflict, the government has also strategised the approach of relocating the communities, a task which involves yet more hurdles and obstacles. Why it is important to you to continue this project? For the past two years, I have travelled to various tiger reserves, and researched on this conflict issue. At present, I have sufficient understanding and clarify of my storyline. Now, there are huge numbers of families being relocated from the reserves, and I feel it is a crucial time to document the local communities’ daily lives inside the forest. I am planning to visit the Sundarbans and the Tadoba tiger reserve to document the daily lives of people living there, and will also try to document the cattle-killing issue prevalent in these villages.